I met him at a Florida Instructional League game at Jack Russell Memorial Stadium in Clearwater, Florida in 1995, when the St. Louis Cardinals, whom he was coaching, came to play the Philadelphia Phillies. 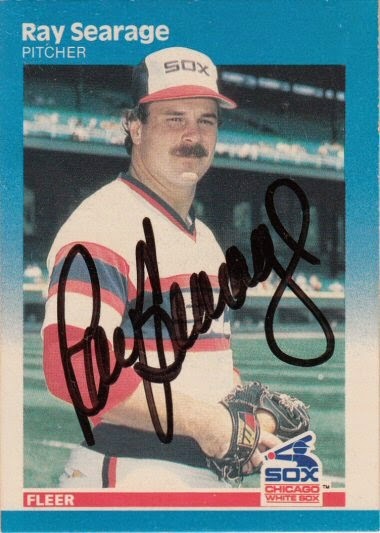 Ray signed a 1987 Fleer card #506. That is a cool one. He has done a great job as a pitching coach for the Buccos and went to college about an hour away from my hometown. Nice I got Ray TTM a couple years ago. As a matter of fact I had written the request off it took so long, almost a year, but he did send it back.